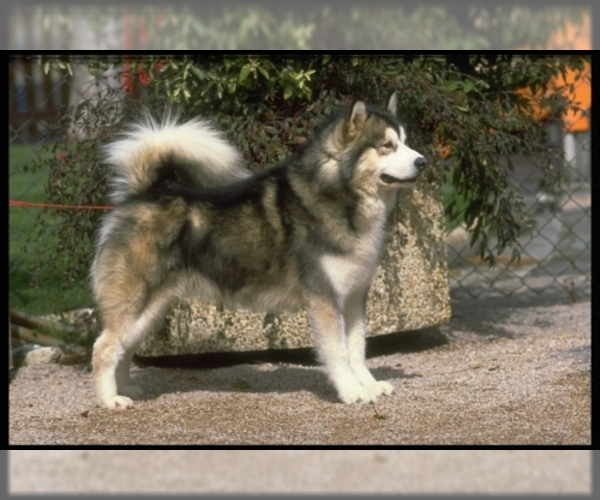 Posted Breed: Siberian Husky / Alaskan Malamute / Mixed (short coat). Please note we do NOT adopt to homes with small animals including small dogs. No Exceptions. 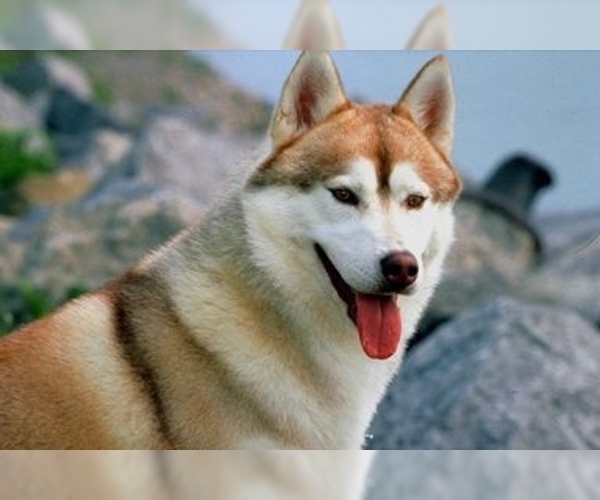 Siberian Husky NTERVIEW WITH AKIRA!! Hi everyone! I'm Akira and I want you to be my human!! I am about 2 - 3 years old and am looking for my forever home. I love all people and I especially like having my belly rubbed. While I would love to have human brothers and sisters to play with, I would like to be the only dog in the house. While, like all dogs and people, I love food, I am very respectful of your food and know "No", "leave it" and am great with "drop it". If you're snacking at the coffee table I will come up and sniff but if you tell me it's not for me, I'll just lay down nearby to hang out with you! I am also a great buddy for a meal and a night out on the town! I love just hanging out with my people, riding in the car and going on adventures. I am very polite sitting/laying underneath tables on patios at restaurants (and charming everyone around into petting me!) Like I said before, I LOVE all people! If you sit on the floor, I will dive into your lap to have my belly rubbed. 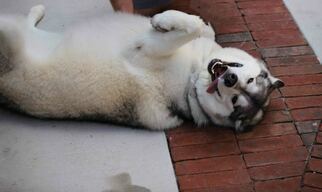 Because of my classic husky good looks, people stop me all the time to pet me and it's my favorite! I am very gentle with kids of all ages and am super tolerant of being grabbed or even picked up. I also know "sit" and "shake", have almost mastered "down" and could learn so much more! I am very good at sitting at intersections and only crossing the street when you say it's time. More importantly, I am trained to lick your face if you make kissy noises! .I do get defensive around other dogs but I feel much better if I know my human is looking out for me. It may take some time and trust but with some socialization training I could definitely become more comfortable with your help! I sleep in my crate now but if you're cool with it I would love to sleep nearer to my people. I am potty trained but I do not bark or howl (about anything, really) so when I start pacing near the door it means it's walk time! I would love to be part of your family! If you want to meet me too please contact rescuenorsled If you are interested in any of the dogs, the first step is to fill out an adoption questionnaire found on our website and email it back to rescuenorsled.